Well, at least some bills are moving in the house. 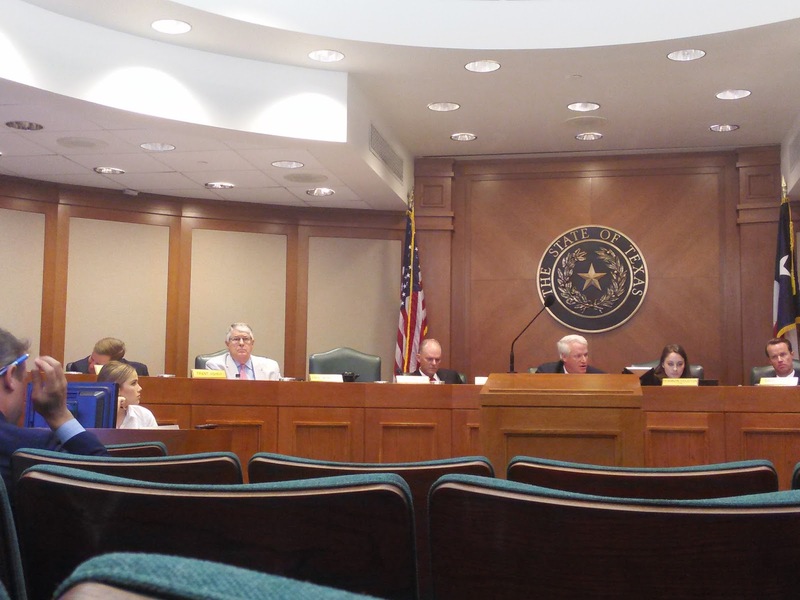 As part of house leadership's extended middle finger to Governor Abbott's special session agenda, today house natural resources committee chairman Lyle Larson heard several of his own bills related to water that Governor Abbott vetoed following the regular session. Then the committee voted all of them out. You read that correctly: Larson heard and voted out several bills that the Governor just vetoed; the embedded disrespect is deliberate. 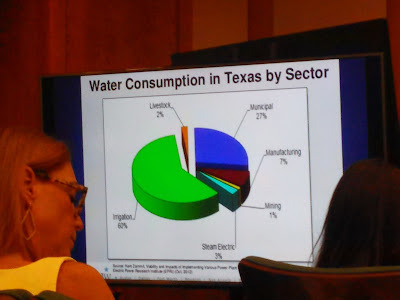 When discussing water policy in Texas, it's important to remember that the whole thing is a corrupt bureaucratic morass. Disgraced former state representative Jim Keffer was a master at this (see more here and here). While we've never confirmed it, we've also heard rumors over the years that Larson and Todd Hunter have business interests related to water infrastructure...which makes the fact that a major desalination project in Hunter's district just secured funding last week all the more interesting. As to the bills themselves, a couple of them (HB 26, HB 228) might have a certain amount of value on the merits. But this is not the appropriate venue to discuss them. According to a comment from Trent Ashby during the hearing, the house will probably attempt to push them through creative interpretation of the expedited permitting and the property rights sections of the special session charge [Note: They're probably on solid ground with a couple and nowhere near it on the rest]. 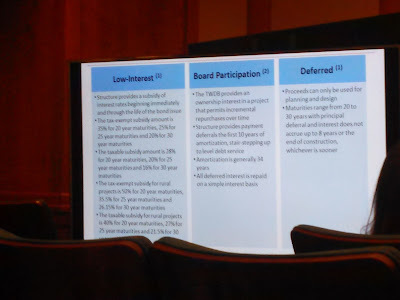 In addition, the committee heard testimony on the water development slush fund they passed in 2013 (which, unfortunately, the voters subsequently ratified). Apparently, they've issued a few billion in various forms over the past couple of years (mostly with multi-decade maturities), are planning to issue another $5.6 billion before 2025, and yet somehow still have almost all of the original $2 billion they were originally allocated in the bank. Don't ask us how that math works. 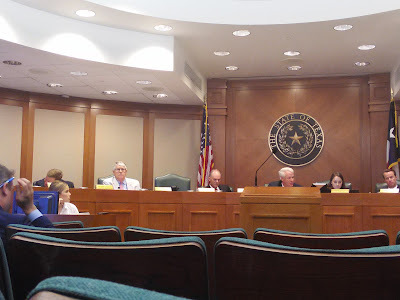 Larson closed the hearing with an soliloquy about how "Texas will rue the day" it failed to spend a lot of money on water infrastructure when the next big drought hits. On the one hand, we're all for prudent planning (and made the point several years ago that if Texas is serious about "infrastructure investment" there were other parts of the budget where they could find the money). On the other hand, we've learned from experience that when politicians start screaming at the top of their lungs they frequently have something to hide. Bottom Line: On a certain level, we're impressed by the chutzpah. Agriculture consumes over 60% of the water in this state despite the fact that a tiny fraction of the population works in the industry, while all municipal use (ie. residential and commercial) is only 27%. In other words: STOP GROWING COTTON IN THE PANHANDLE!! !